At South Mississippi Endodontics we are dedicated to using state-of-the-art technologies. We are constantly incorporating the finest technologies in order to help diagnose, treat, and achieve excellence in endodontic care. In our practice the health and safety of our patients are the highest concern. Digital radiography provides an 80% reduction in radiation to our patients with an increase in diagnostic capabilities. 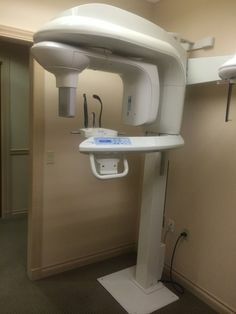 These digital radiographs have the added benefit of always being available in our computers for easy access any time in the future. We utilize Caresteam Dental sensors, which are considered by many to provide the finest digital image available. This technology has forever changed the delivery of endodontic care. The magnification and illumination this technology offers allows us to see the anatomy within the tooth in a way that is simply not possible with the naked eye. Every treatment delivered in our office utilizes this necessary piece of equipment. We feel that the microscope should be the standard of care for all procedures performed by an endodontist. These images illustrate the improved visibility provided by working thru the Dental Operating Microscope. Historically, dentists and endodontists have had to rely exclusively on 2-D radiographs to evaluate patients. While this has been and continues to be adequate in most cases, the Cone Beam Computed Tomography gives us the ability to literally evaluate the teeth and surrounding tissue in 3 dimensions. This is invaluable, especially when treating the difficult cases seen in a specialist's office. These high resolution images can be obtained quickly in our office and are achievable with very low radiation to the patient. The Digital Office is a practice-management software that has allowed us to eliminate the paper from our office. This has allowed us to become extremely efficient in how we deliver care and communicate with both our patients and referring dentists. Most cases will be documented thoroughly with digital photographs. This will allow us to communicate the details of all treatment precisely with both patients and dentists.